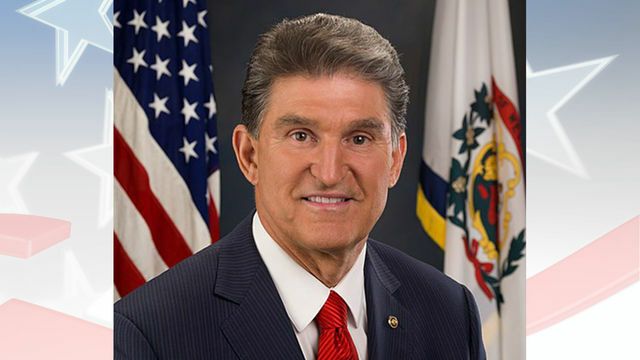 CHARLESTON, W.Va. (AP) - U.S. Sen. Joe Manchin is the only Democratic senator who did not co-sponsor an LGBT anti-discrimination bill. The Register-Herald reports 44 Democratic U.S. senators and the two independent senators that caucus with them have signed onto Senate bill 788. The bill sponsored by U.S. Sen. Jeff Merkley of Oregon would add LGBT protections to the Civil Rights Act of 1964 and the Fair Housing Act of 1968. Manchin did not sponsor a similar proposal in 2017. A spokeswoman for his office declined to comment to the newspaper. West Virginia's other U.S. senator is Republican Shelley Moore Capito. She also did not co-sponsor the bill. West Virginia ACLU Executive Director Joseph Cohen said he was "sorely disappointed" that neither of the state's U.S. Senators endorsed the proposal. The Union Grill opens at 11:00 a.m. every day and is located at 13 1/2 East Wheeling Street in Washington, Pa. It's in the lower half of the building. Just follow the steps down! Be sure to like their Facebook page for daily specials. Patsy's Pizza is located at 2099 National Road in Elm Grove. They open at 3:00 every day and are closed on Mondays. You can phone in your order at 304-242-1490 or walk in. This week for "A Taste With Rach" we're deep into Wetzel County in Hundred, West Virginia with a look at a small coffee shop with some big ideas. Army veteran John Radvansky is quite decorated. As Women's History Month comes to a close, Veterans Voices continues to recognize women who have served in our nation's military. In honor of Women's History Month, Veterans Voices in March will be dedicated to women who have served in our nation's military. If you remember, 7News brought you a special edition of 'Veterans Voices' with Marine Corporal Jesse Beckwith of Toronto. © 1998 - 2017 WTRF.com | Nexstar Broadcasting, Inc. | All Rights Reserved.